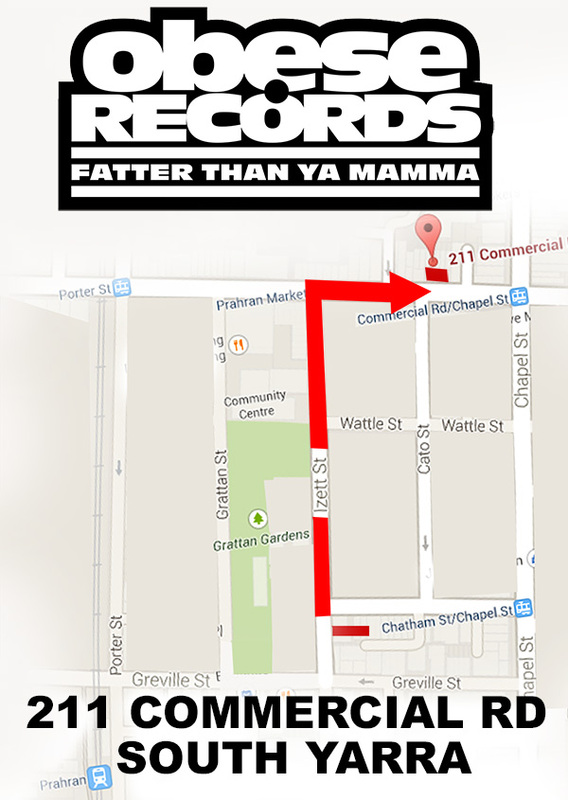 Our Izett St Parahan store has officially moved and now open at 211 Commercial Rd South Yarra and just a short walk from the old location. Getting there by train: Sandringham line, get off at Prahran. Getting there by Tram: No 72 get off at Commercial/Chapel St.
Getting there by bus: No 216, 219, 220 get off at Commercial/Chapel St. Introducing The D.Y.E. 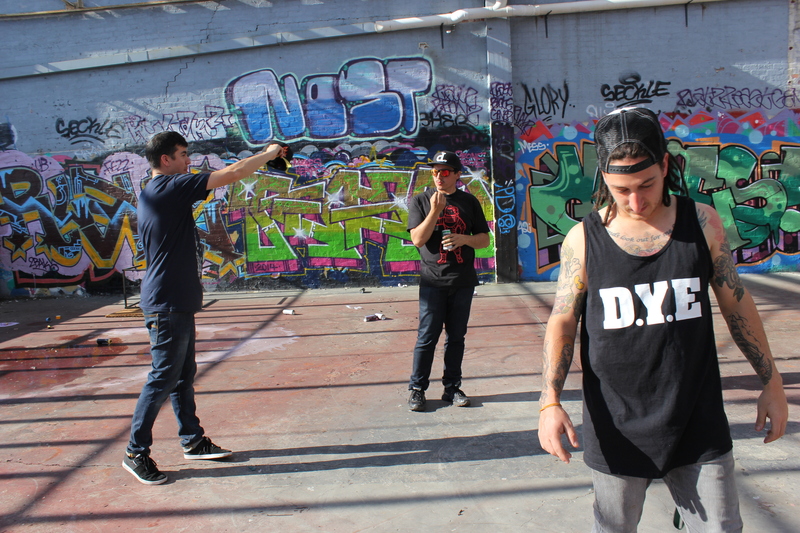 A three man hip hop group from Melbourne’s north, hell bent on getting their music to the people. 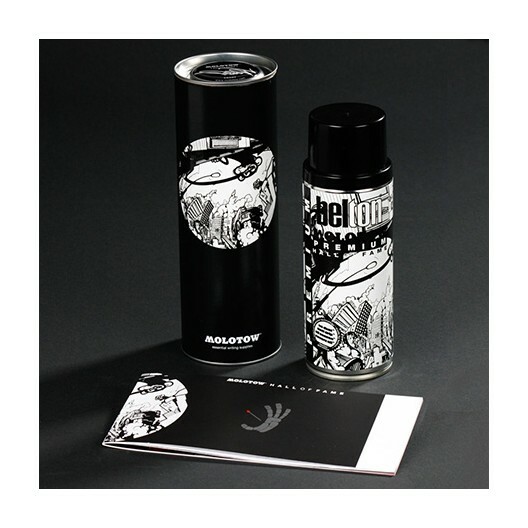 Made up of DJ Marshall, MHz and Slam Master D, The D.Y.E already have two mix-tapes to their name. 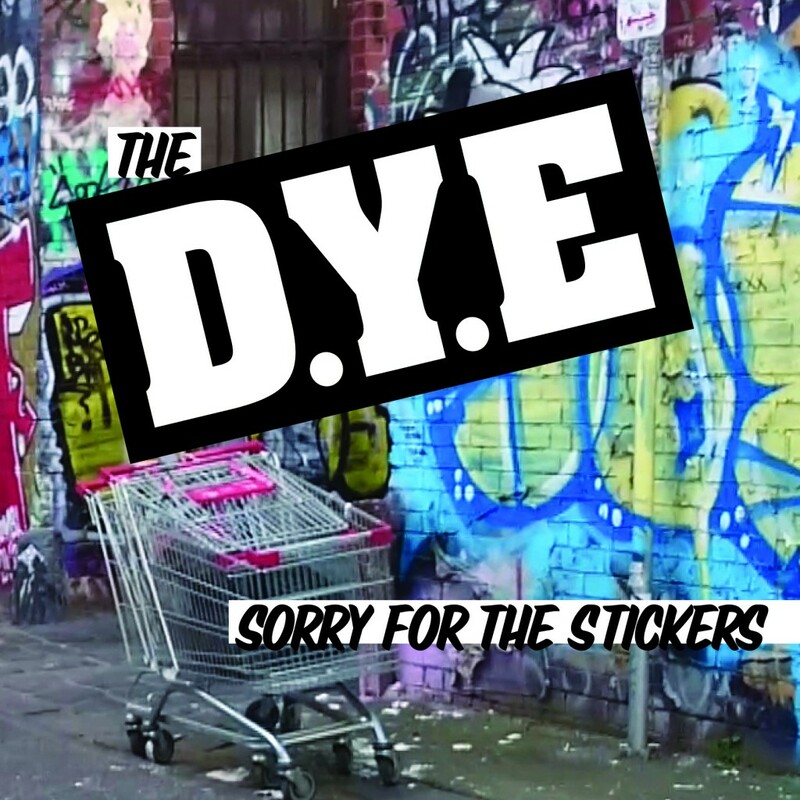 The debut EP entitled Sorry for the Stickers, references the infamous D.Y.E stickers, which any local could tell you, have been plastered all over Melbourne. 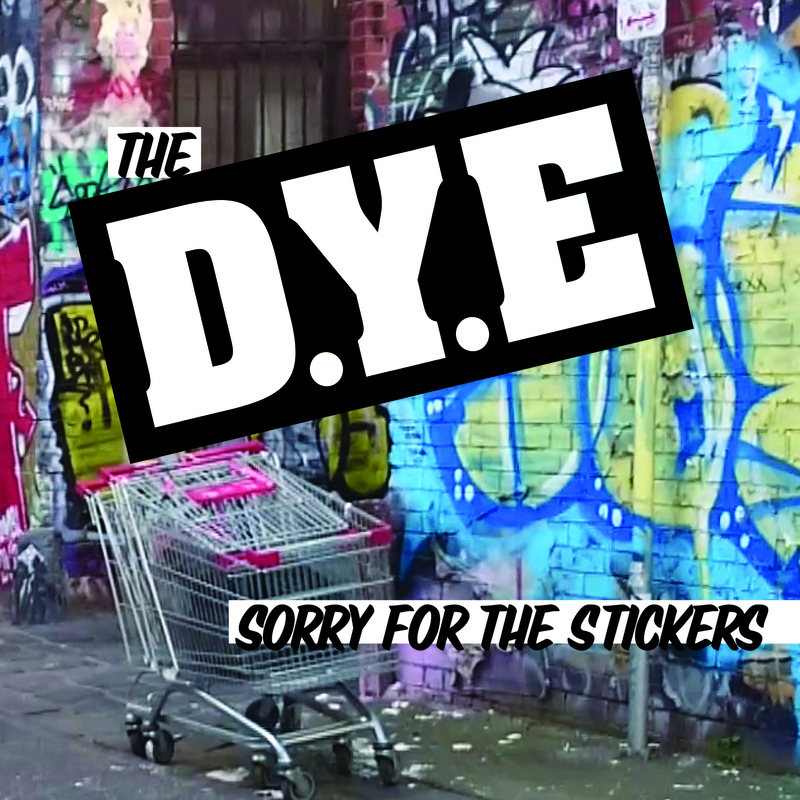 With their energetic party sound reminiscent of J5 or Beastie Boys; The D.Y.E pride themselves on being masters of the live show. The EP’s general vibe is custom-made for a festival crowd, with plenty of call-and-response and catchy hooks. ‘Lighters in the Sky’ is a track about the ongoing rejection aspiring artists encounter when trying to secure shows and opportunities. In this song, the trio maintain the idea of being able to play a huge show one day, seeing lighters in the sky is what keeps them driven. With a sample from Bedouin Soundclash, the track features vibrant vocals from Melbourne jazz/soul singer Mo. Watch video clip for first single ‘Lighters in the Sky’ featuring Mo here. ‘No Matter the Weather’ is a syncopated, beat driven track featuring metal-core turned blues singer Emil on the hook. The lyrics reflect The D.Y.E’s rain or shine mentality to performing, determined to deliver no matter the weather. ‘Front to the Back’ is a traditional call and response crowd-pleaser with a strong emphasis on cutting samples. The track demonstrates the diversity of DJ Marshall’s samples arsenal; featuring pop culture references from Ferris Bueller and Shepard Fairey, to original recordings from 1970’s news-radio broadcasts. This is one half of Mr. Ruckman‘s concept record. With his second EP “Later” dropping later in the year to comprise the full record. Every song topic focuses on a specific verb, be it abstract, ironic or just straight literal. Such limitations could be considered a creative-hinderance to an artist, but Mr. Ruckman proves the contrary with refreshingly canny results. The concept comes from a place of monotony, with Mr. Ruckman feeling as though his passion is stagnant and his life going through the motions. This project is his strive for change and something greater. 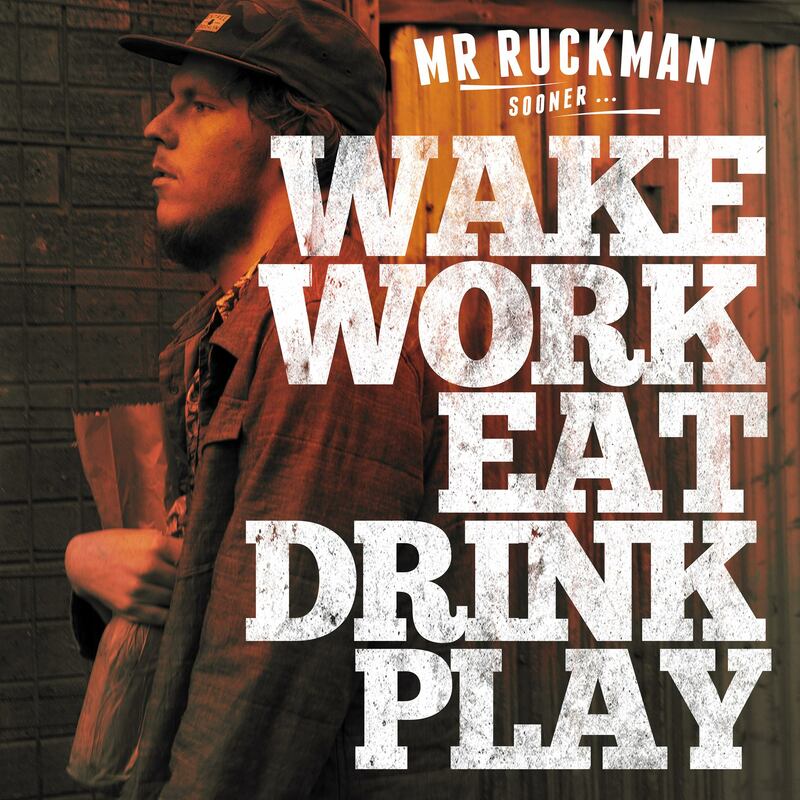 Mr. Ruckman‘s music speaks for itself and Sooner is another fine fingerprint in his durable discography. The future can only tell what will come of the Later. Purchase the Sooner EP from iTunes here. Follow Mr. Ruckman on facebook. Enigmatic Geko AKA Phil Gektor makes up one sixth of formidable Melbourne label Crate Cartel. His new album, titled Real Heads Don’t Listen, is out May 30 2014. Entirely self-produced, Geko has poured his contrarian genius into the album, ensuring every detail has purpose. Consistent with his previous work, Real Heads Don’t Listen further explores Geko’s underground ethos and his satirical take on mainstream society and commercialisation. Using samples as his muse, Geko’s production and lyrical themes evolve organically. The album’s overall gritty, trippy feel resembles its creator’s cynical obscurity. In the track ’Get Fucked’, Geko voices his unwillingness to submit to society’s expectations. The song has an apt punk aesthetic, and is driven by its urgent tempo. With its ‘80’s style production, ‘Disobedient’ is about adventures whilst driving intoxicated, and been pretty self-satisfied about doing it. Featuring heavily chopped psychedelic samples ’PHILIP SEYMOUR HOFFMAN’ is the tale of a man being arrested and taken to a psych ward, shortly fleeing the country on an airplane. Though dark, and sometimes confronting, Geko’s music is a brilliant account of a solitary man who is at odds with the narrow format of mainstream life. In ways, his music is a selfless offering to those of a similar disposition. Purchase Real Heads Don’t Listen from JB Hi-Fi, Soul Clap Records or iTunes. 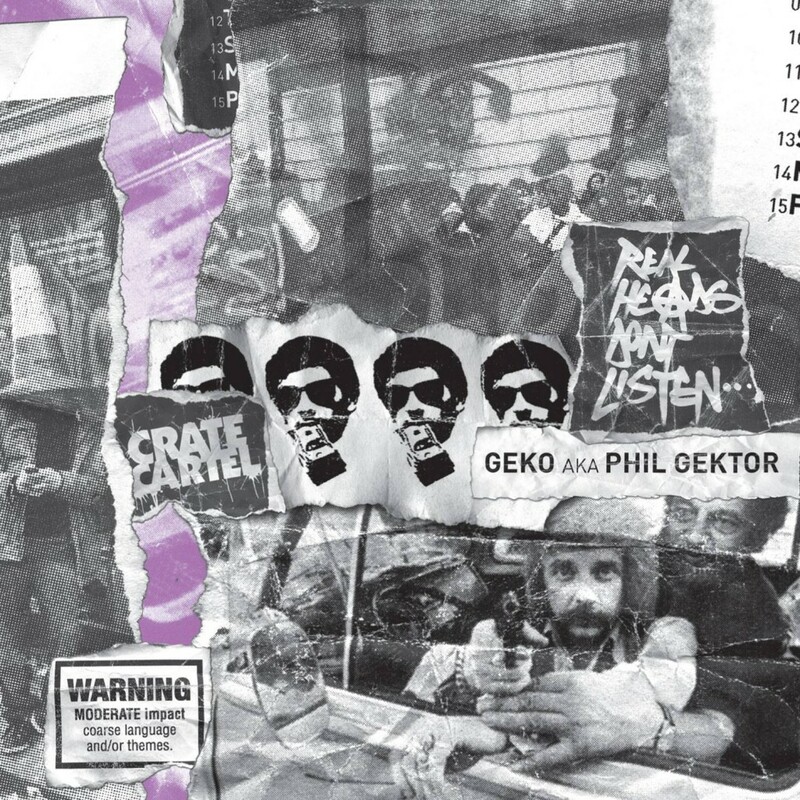 To celebrate the release of Geko AKA Phil Gektor‘s new album Real Heads Don’t Listen, Gek has put out free The Hippies EP. Kogz, one of Perth’s younger emcee’s to emerge recently, has been working on his debut project for the good part of a year now. After entering a competition for ‘up and coming’ rappers organised by SBX member Mr. Grevis, Kogz won a weeks worth of studio time with Rob Shaker. 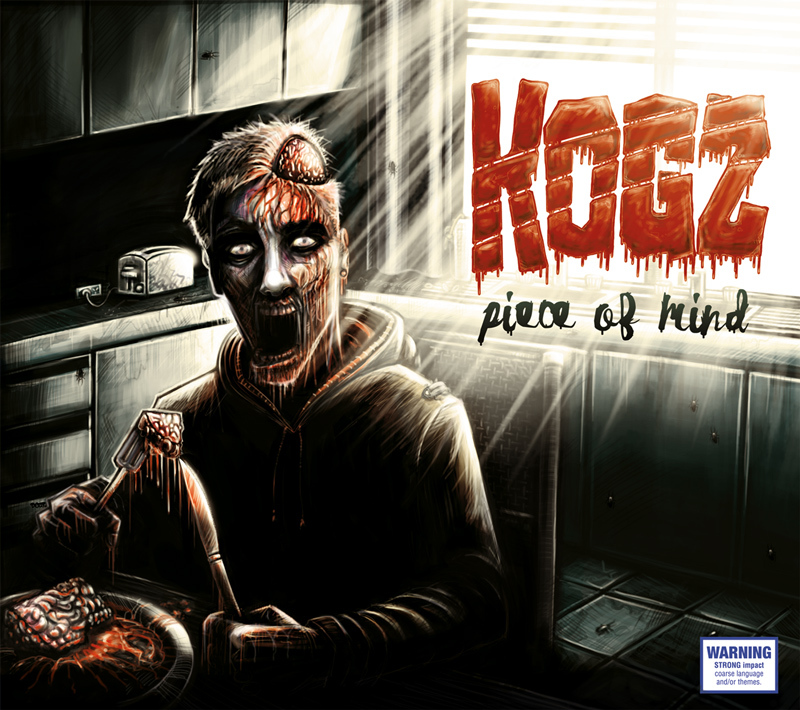 The opportunity allowed Kogz to adapt his idea for a project from mixtape to full LP. Supporting Grevis a couple of times, the young emcee caught the attention of a few local stalwarts of the Perth scene. Guest verses and collaborators on the album include Mr. Grevis, Bitter Belief, Complete, Sever, Soma and Still J. With production mainly from Rob Shaker, but also featuring beats from Matt Rafle, Soma and Creed Birch. After what has been a strategically and seductively long lead up to its release, Thundamentals are back once again with third album So We Can Remember. Members Jeswon, Tuka and DJ Morgz have every reason to be confident about the album’s reception on the 2nd of May this year. The trio have already enjoyed the success of their first single ‘Smiles Don’t Lie’ ranking at #32 on Triple J’s Hottest 100 for 2013, and second single ‘Something I Said’ featuring Thom Crawford ahead of the album’s release. Both tracks were added straight to triple j, charting well across iTunes, ARIA and Spotify. 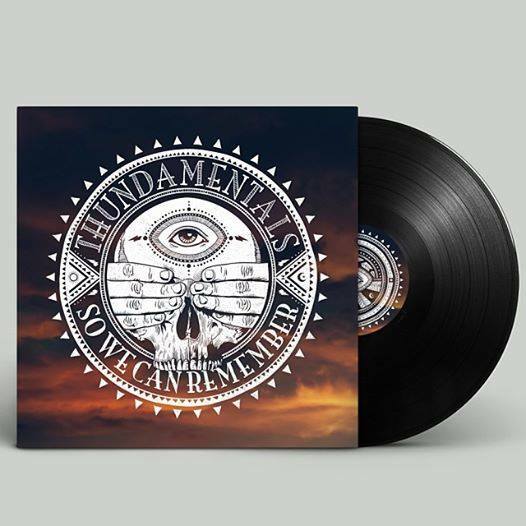 Putting a new spin on their much-loved sound, So We Can Remember sees the Thundas embrace modern production elements and song structure to brilliant effect. Rappers in their prime; emcees Tuka and Jeswon are absolute professionals at their craft. The two impress with their trademark mischievous exchange. All beats are produced by DJ Morgz, who has skilfully constructed something wondrous to behold in every track. 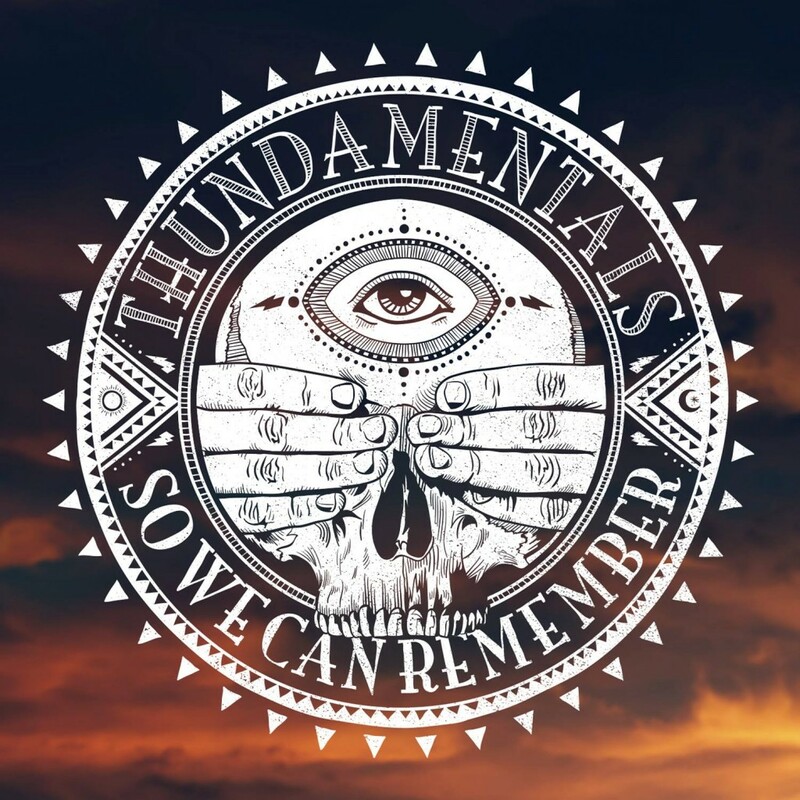 Guest’s featured on So We Can Remember include Solo (Elefant Traks), Mataya, Ev Jones, Thom Crawford, Steve Clisby and Laneous. 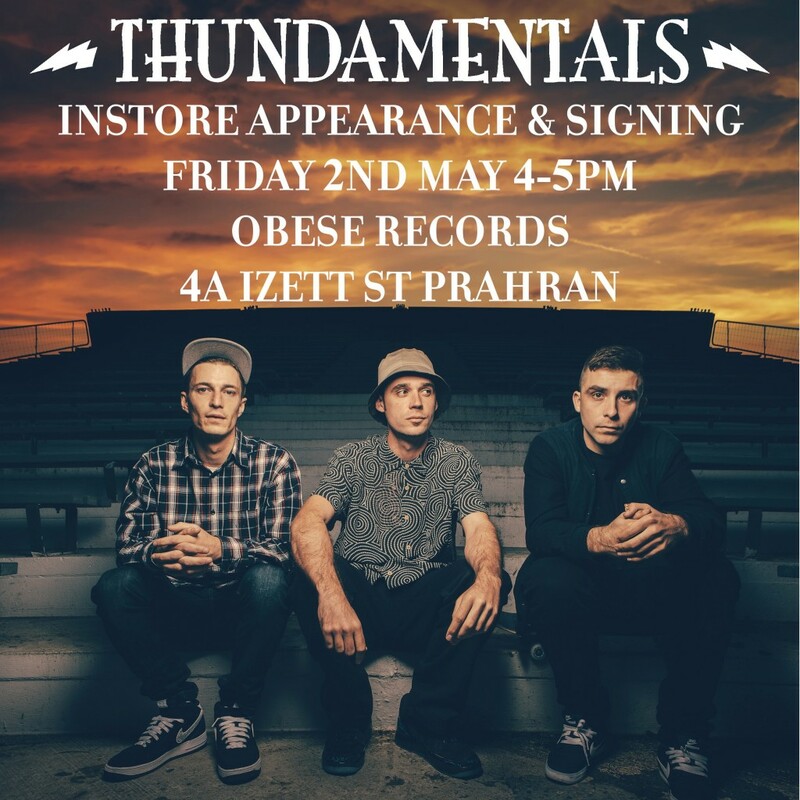 Purchase So We Can Remember from iTunes, JB Hi-Fi or Soul Clap Records. 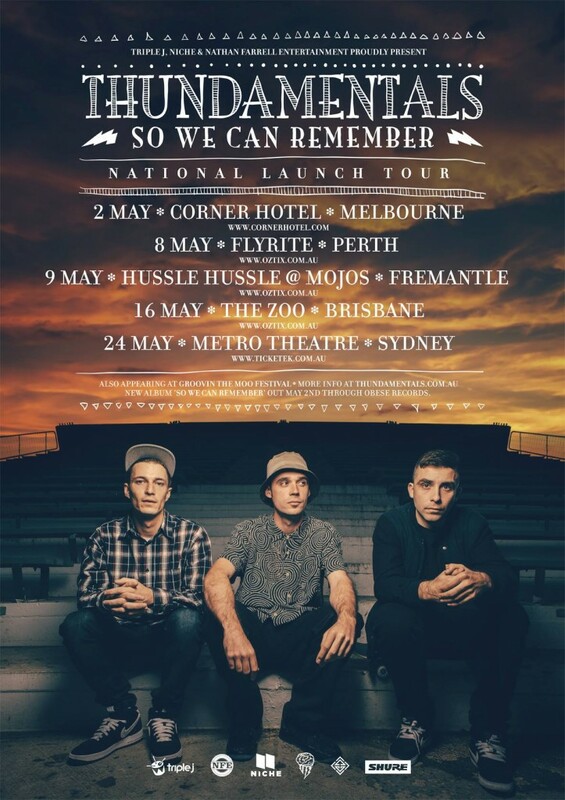 The So We Can Remember National Tour has begun, so make sure you don’t miss out on tickets for a show near you!